Thousands of demonstrators took to the streets of London on Monday to demand climate change action. The demonstrations, organised by British climate organisation Extinction Rebellion, aimed to convince governments to take action on climate change, including declaring an ecological emergency, reducing greenhouse gas emissions by 2025 and halting biodiversity loss. The protests come amidst growing youth involvement in climate action. Swedish youth climate activist Greta Thunberg will visit the European Parliament this week to discuss climate issues. On Monday night's episode of Raw Politics, guests sat down with host Tess Arcilla to discuss how youth activism could result in policy changes from EU politicians. 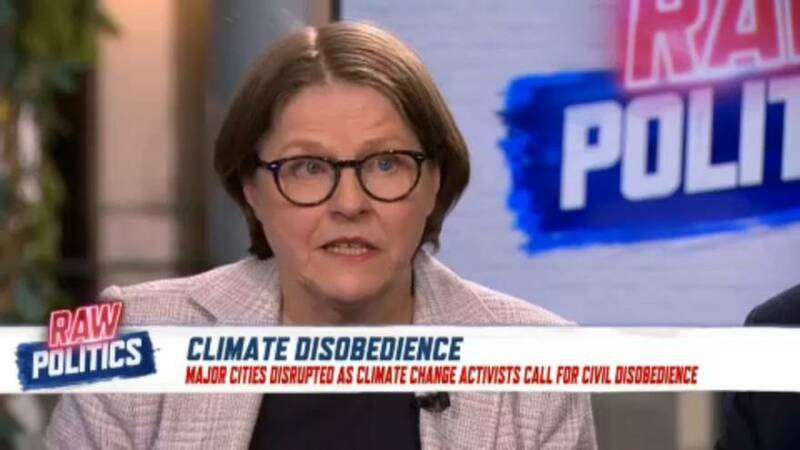 "The young generation is telling us that we are wasting away our time if we don't act now because it's their planet that we are destroying," Finnish MEP Heidi Hautala said. "It's our generation of decision-makers that really have to conduct systemic changes."